My wife made what I have termed “Sticky Bun Cake” which looks like sticky buns but in a cake format. 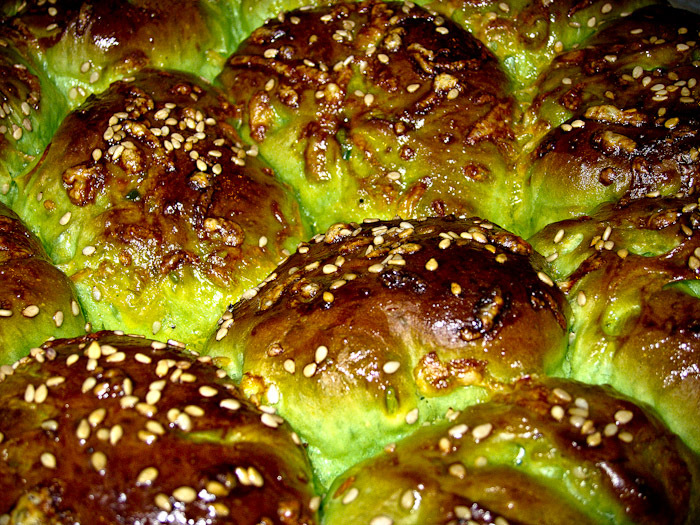 It’s made with pandan flavoring and color (hence the green). It’s also stuffed with pockets of chocolate. Very tasty!